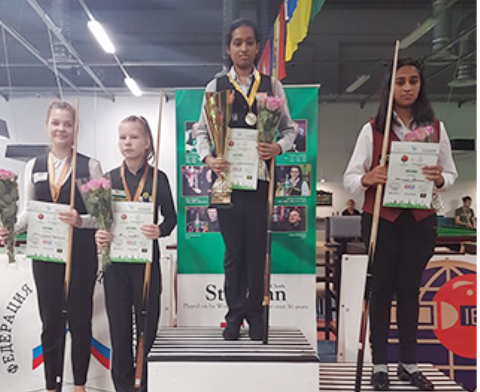 India’s Anupama Ramachandran has clinched the World Open Under-16 Snooker Championship Title in the girl’s category in St. Petersburg, Russia. Anupama knocked out her compatriot and top seed Keerthana Pandian 3-1. Earlier, she defeated Albina Leschuk of Belarus 3-0 in the semis and Alexsandra Riabinina of Russia in the quarterfinals with an identical 3-0 scoreline. Dylan Emery of Wales has claimed the title in the boy’s category. Total 73 cueists from across the world have participated in this championship which has hosted by the Federation of Billiards Sports of Russia for Under-16 boys and girls for the first time.